Mini Barns Are Perfect For Backyard Storage! 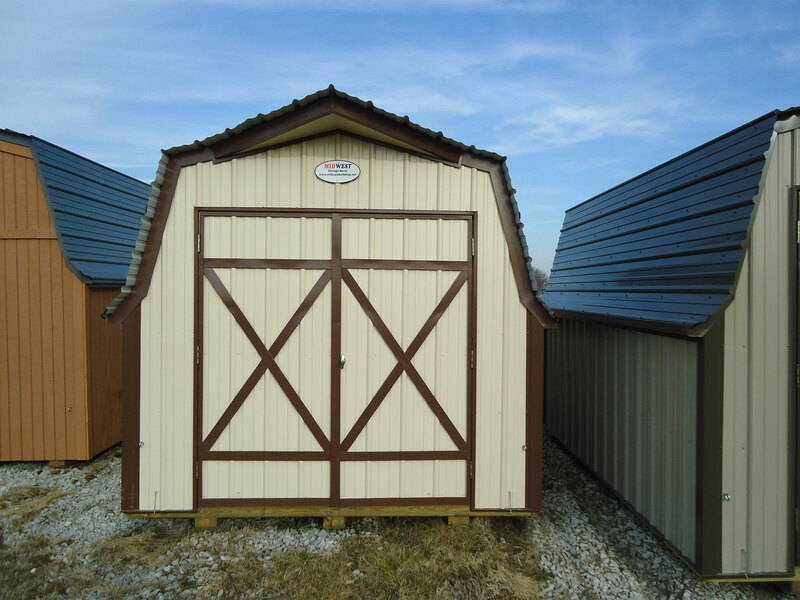 Mini Barns come in five great sizes to choose from for small spaces. Their Turkey Tail finished overhang adds country charm to your backyard decor. Mini Barns come with a 24″ shelf in the back and have 4′ sidewalls to allow for organization. Two 3′ key locking doors provides a 6′ opening for moving in and out of. Durability adds to the quality of Mini Barns. All of the exposed materials is pressure treated. MidWest Storage Barn uses premium grade lumber and heavy duty truss plates for construction. Treated 4″ x 6″ skids make it easy to move your building when needed. Customization Easy – Ask Us! A Phone Call Away To Serve You!